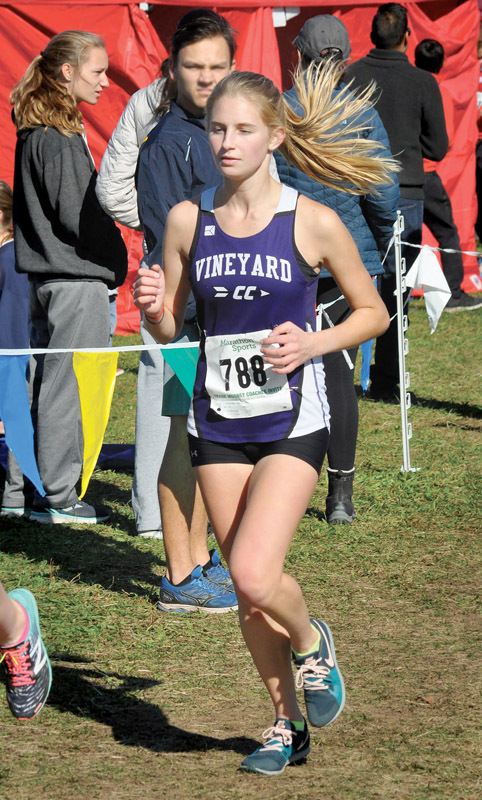 The Vineyard harriers traveled to the Wrentham Developmental Center on Sunday for the Massachusetts State Track Coaches Association (MSTCA) Frank Mooney Invitational, and put up impressive results across the board. 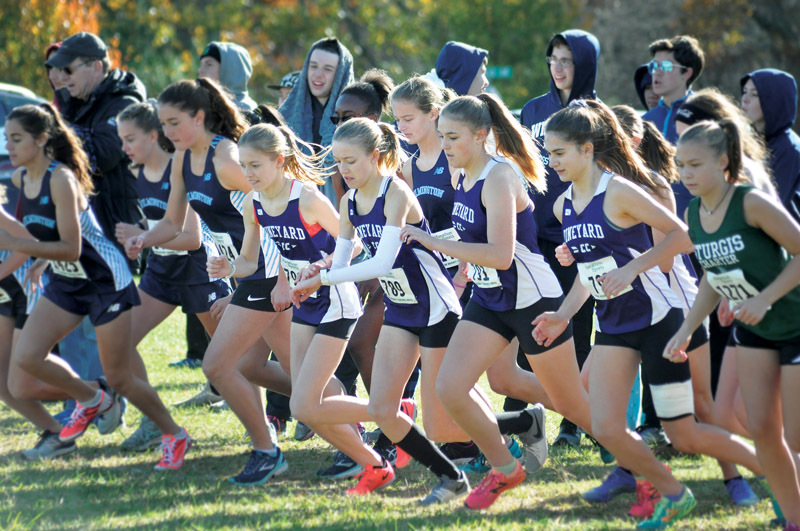 The girls and boys each finished atop the team standings in the 5K sophomore race (which includes freshmen and eighth graders), beating out Bishop Feehan for first place, while the boys ran to fifth place among 19 teams in the Division 2 junior/senior race. 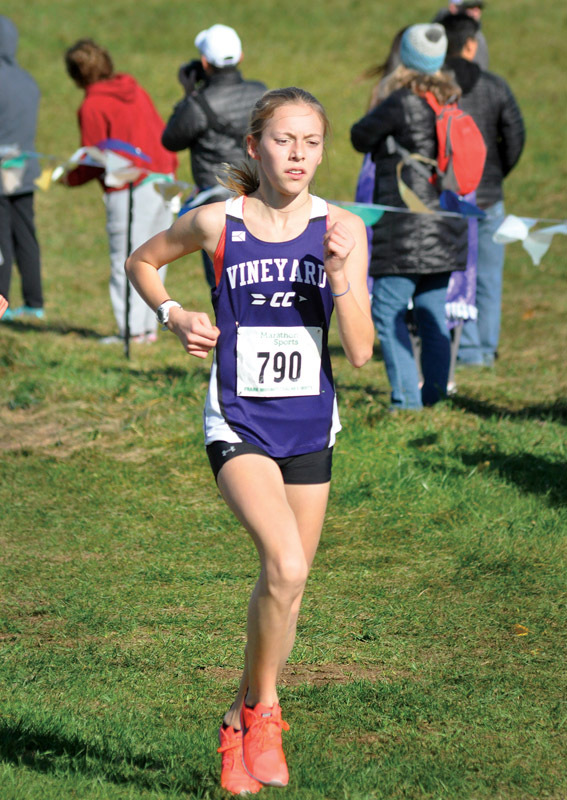 Wren Christy was the top Vineyard girl in the sophomore event, and placed fourth overall among 85 runners with a time of 20:13.11. 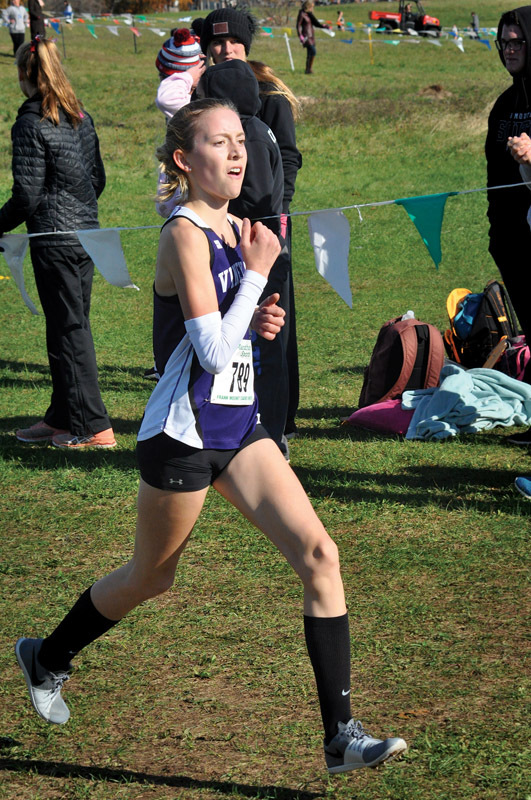 Amber Cuthbert (20:57) ran a strong seventh, with Eloise Christy (21:39) 15th, Yayla DeChiara (22:37.11) 22nd, Kailyn Freeman (23:47.63) 37th, and Margaret Sykes (27:16), 77th. 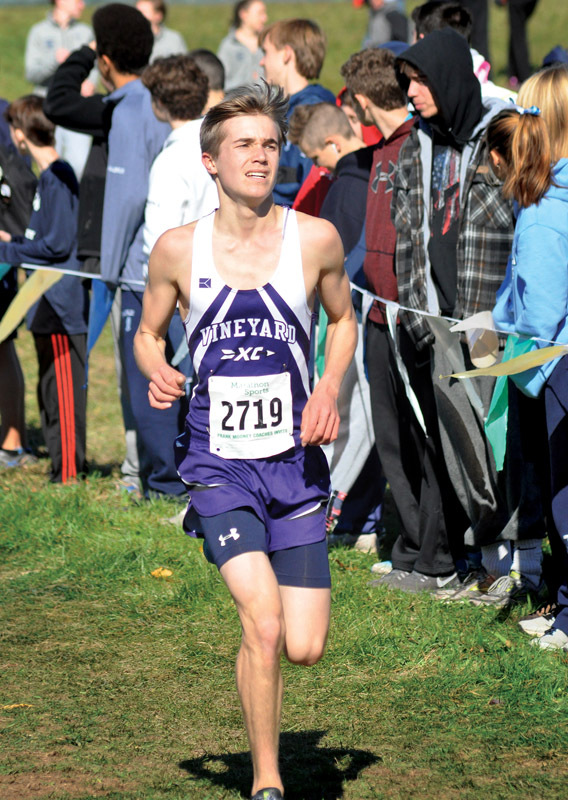 Zach Utz ran seventh in a field of 141 to lead the Vineyard boys, clocking in at 17:48.30, followed by Borja Tolay (18th, 18:08.53), Nate Porterfield (23rd, 18:19.41), Isaac Richards (33rd, 18:44), Owen Atkins (52nd , 19:20.91), Jonathan Norton (67th, 20:02.28), Ethan Creato (80th , 20:26.86), Matt D’Andrea (84th, 20:41.34), Duncan Brown (107th, 21:50.74), Eric Reubens (134th, 23:58.09), and Owen Steenkamp (136th , 24:21.01). 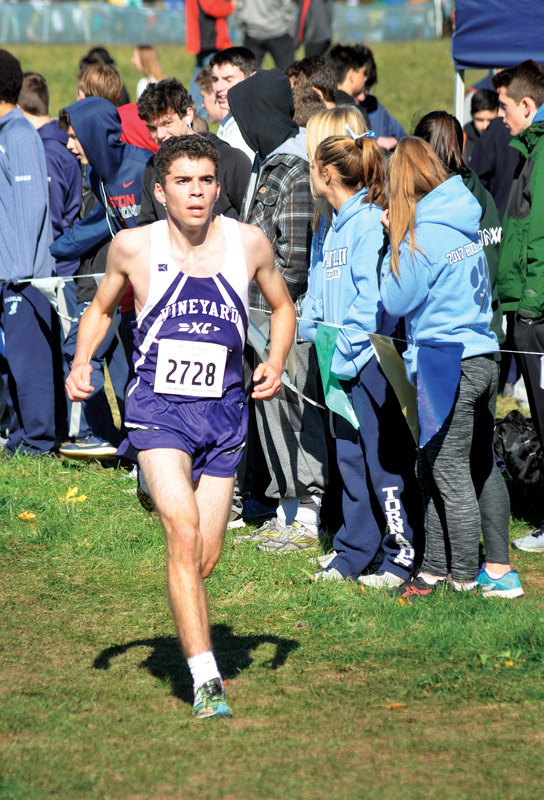 In the 5K junior/senior boys race, Peter Burke was fifth fastest of 198, and came to the line in a whisker under 17 minutes, at 16:59.83. 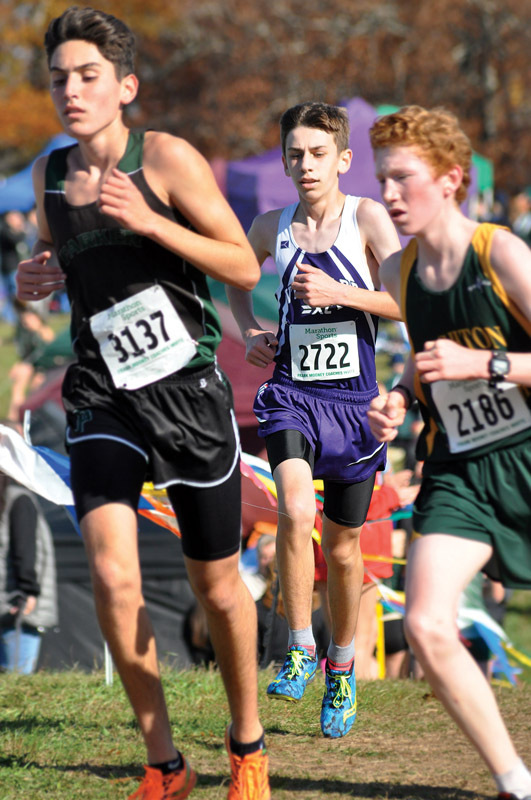 Owen Porterfield (21st, 17:37.56) was next for MV, followed by Kieran Karabees (39th , 18:07.80), Tom Sykes (78th, 19:05.38), Dash Christy (105th, 19:58.49), and JoJo Bonneau (141st, 21:03.37). 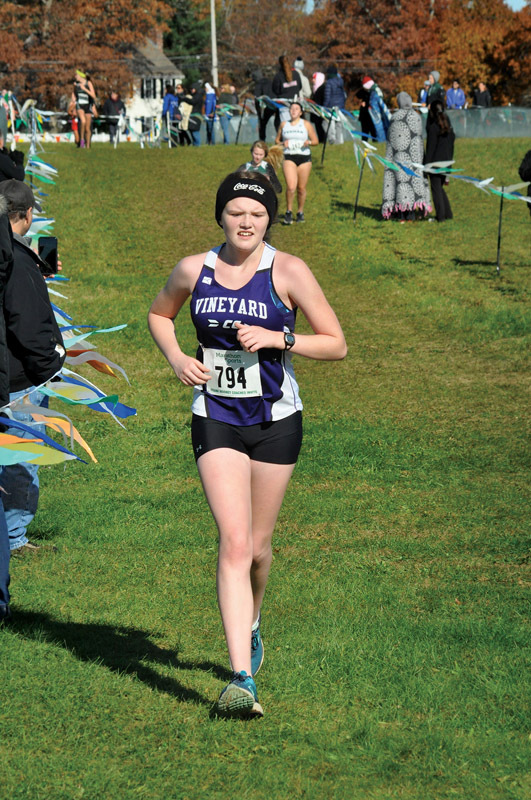 Catherine Cherry ran for the Vineyarders in the girls junior/senior race and placed 21st of 130, with a time of 21:07.02. 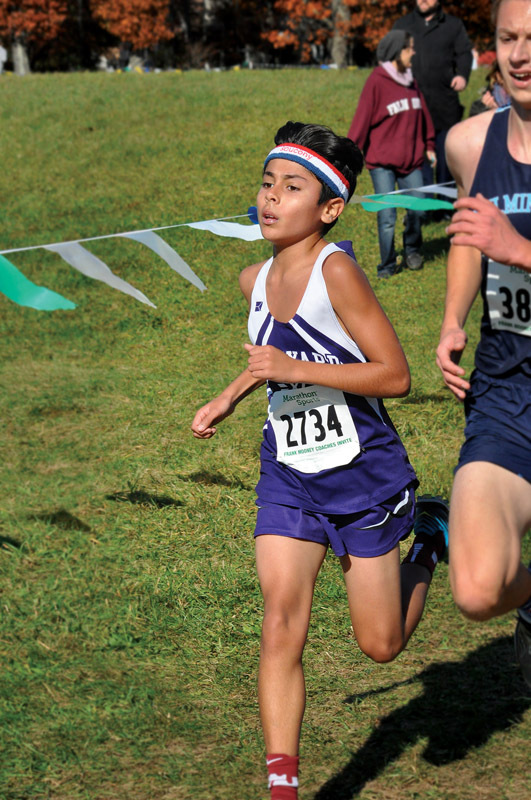 Three Vineyard boys ran among the 103 entries in the 3K freshmen event. 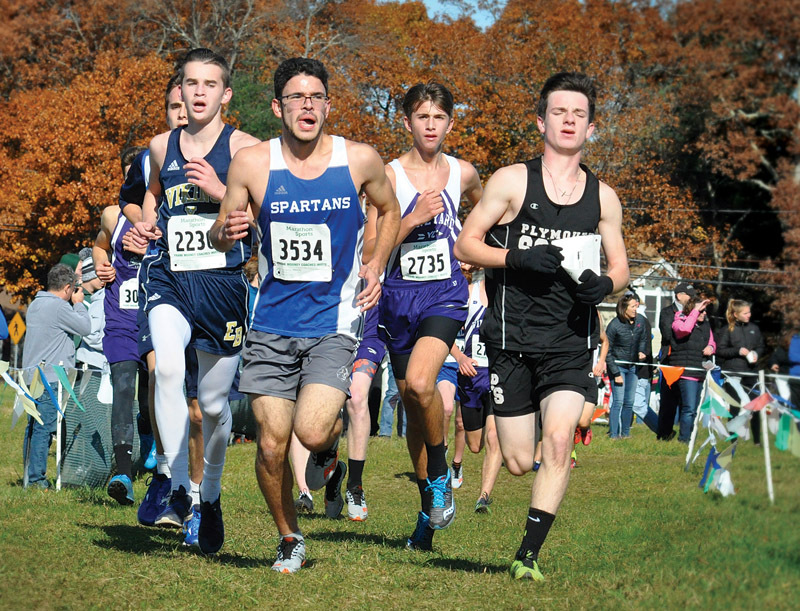 Henry D’Andrea (11:59.18) was 33rd, Calvin Brooks (13:01.43) 70th, and Colin McNamee (14:49.42) 100th. 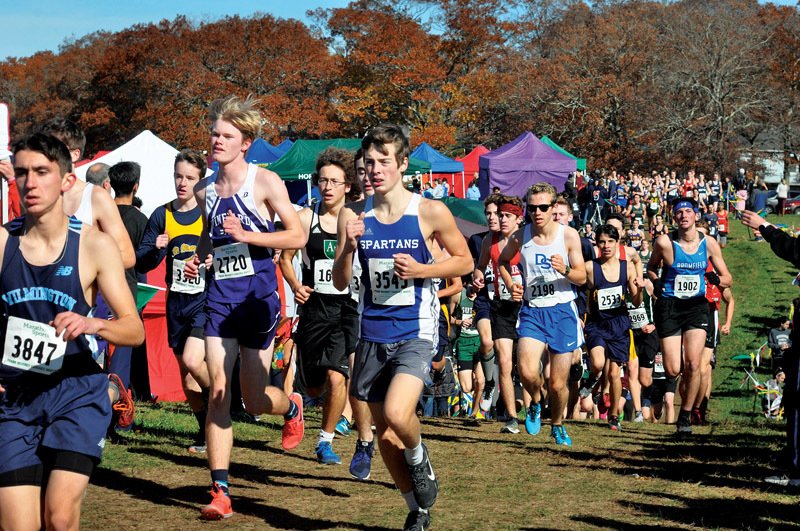 The impressive Vineyard performances at the Coaches Invitational bode well for the MIAA Division 5 championships, which will be held in Wrentham on Saturday.